For all Honours Degree Courses and Master of Biomedical Science at Monash University Malaysia. Applicants with a distinction average in a prior study from a recognized university and meet all other entry requirements are eligible to apply for the Scholarships. 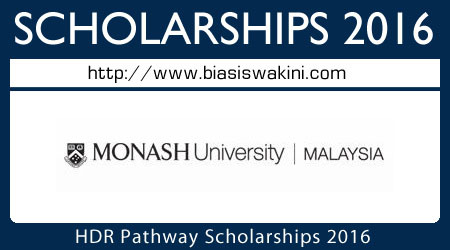 Selection of the scholarship will be based on academic achievement for each discipline as determined by Monash University Malaysia. Each scholarship covers 100% or partial of the tuition fees for the duration of the course. Interested candidates must apply to the Course Management Office, Monash University Malaysia. 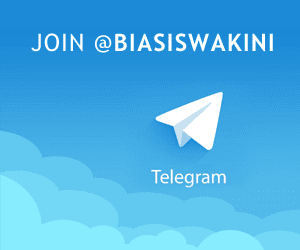 All applications consistent with the eligibility and selection criteria will be considered for a scholarship. 0 Komentar untuk "HDR Pathway Scholarships 2016"